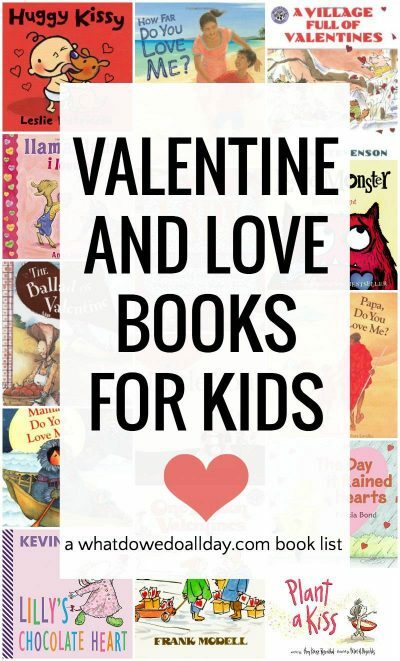 Valentine books don’t have to focus on the giving of heart shaped cards! 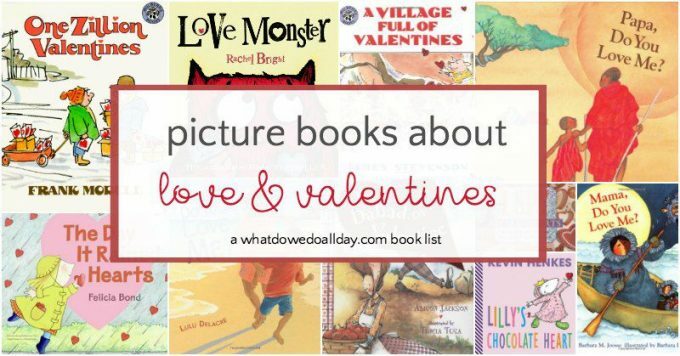 This curated collection of picture books features kisses, hugs and multicultural books about love as well as more traditional Valentine’s Day books for kids. Counting Kisses by Karen Katz. This darling lift the flap book may not be specifically about valentines but it will certainly set in motion a cascade of love, and isn’t that the goal? Llama Llama I Love You by Anna Dewdney. A darling board book that introduces the iconic llama to babies and toddlers. A very sweet and adorable read that imparts a lovely message. Huggy Kissy by Leslie Patricelli. I adore all of Patricicelli’s joyful board books and this love-themed title about all the different ways to show affection makes a great Valentine’s day book for toddlers. Lilly’s Chocolate Heart by Kevin Henkes. Lilly has a very special chocolate heart and she wants to find the perfect hiding place to keep it safe. Take a guess where that might be. Adorable. Little You is an adorable board book that is a tender, rhyming love story from mom and dad to their baby. Plant a Kiss by Amy Krouse Rosenthal, illustrated by Peter H. Reynolds. What happens when you literally plant a kiss? This winsome book follows a girl as she plants a kiss and shares the harvest. A great title for Valentine’s Day reading, but also for any time you want to share the message of kindness. Papa Do You Love Me? and Mama Do You Love Me? by Barbara M. Joosse, illustrated by Barbara Lavallee. Two lovely books which show that the love a parent has for a child has no bounds. Hug Machine by Scott Campbell. This adorable and hilarious book is about a boy who simply can not stop hugging. Are we all agreed in the power of a hug to change the world? This book is sure to bring a smile to your face. I Spy Little Hearts by Jean Marzollo, illustrated by Walter Wick. I always find I SPY books to be great boredom busters, especially for when you are on the go and want to keep the kids busy. Why not add in a Valentine book to your repertoire? The Day it Rained Hearts by Felicia Bond. 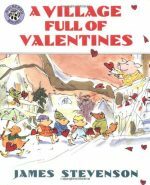 This has become a classic Valentine’s Day book for preschoolers. Cornelia Augusta (don’t you love that name?) catches hearts as they fall from the sky. What to do with them? Why turn them into valentines of course! Love Monster by Rachel Bright. Love Monster seems out of place in Cutesville, but he wants to be loved just the way he is. Dog Loves Books by Louise Yates. Dog loves to books so he decides to open his very own bookstore. However he doesn’t have any customers and so he spends his time getting lost in imaginary adventures brought on by reading! Soon, though he has a customer and can recommend just the right book. Perhaps this is not technically a Valentine’s Day book, but what better time of year to express your own love of books? A Village Full of Valentines. I think this is my favorite Valentine’s Day book. Seven quirky vignettes will absolutely charm your heart. The Ballad of Valentine by Allison Jackson, illustrated by Tricia Tusa. A delightful rhyming book that you will want to sing to the famous “Clementine” book. A rather clumsy and smitten gentleman tries to woo a rather clueless frontier woman. Very fun. How Far Do You Love Me? by Lulu Delacre. A lovely book that will take you and your child on a trip around the world, rooted in love for each other. One Zillion Valentines by Frank Modell. This book had a real old fashioned feel to me. Perhaps it is because the protagonists are named Milton and Marvin. Milton and Marvin set out to deliver a zillion valentines to their friends and neighbors but they have a lot leftover. So they hatch a plan to make a little money so they can buy a valentine to share. 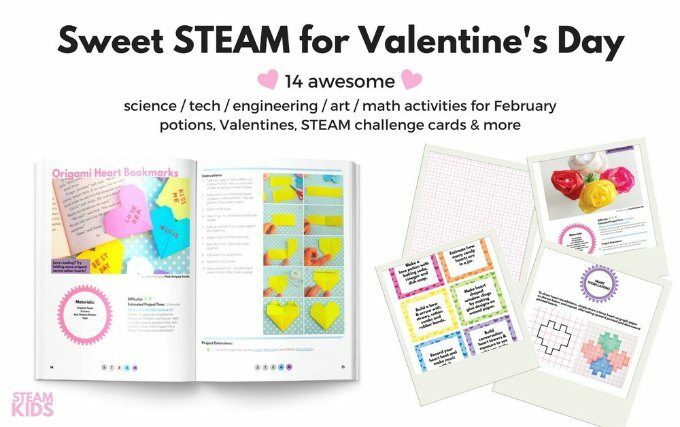 If you want to try something unique to celebrate Valentine’s day, couple your reading with a STEAM project. My team and I put together a resource I know you will love. It also includes a bookmark project! Thanks for joining WMCIR! I am not a big fan of Valentine's books either, and I am struggling to come up with a favorite. I think it would be The Day It Rained Hearts simply because it focuses on making something. We read Dog Loves Books – it's a great book! Thanks, I have been looking for more valentine books. I would add “Somebody Loves you, Mr. Hatch” by Eileen Spinelli to the list. Thanks for sharing your kid of Valentine’s day books, I would like recommend one also “I Love You So Much” very adorable book about a parents love for their child but also Love for everyone special. Wonderful book! I have it on a couple of other lists.